Your brakes are one of the parts of your car that is most essential to the safety of you and your family. If you needed to perform an emergency stop while driving down the road, are you confident that your brakes are up to the task? They’re so important, in fact, that you shouldn’t trust just anybody to be working on your brakes. You should only be trusting a certified technician to find potential problems and have them properly repaired. Here are some reasons why brake repair is something you should trust your local auto shop with before it becomes a problem. A good mechanic sees these kinds of problems every day. Your doctor can tell you if that lingering cold is a sign of something worse. The same goes for your technician. You can count on an expert to spot the signs of potential safety problems and let you know when there’s a problem. 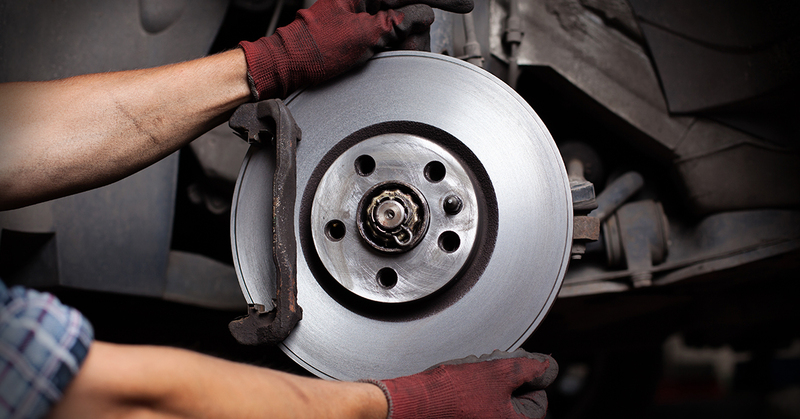 They’re able to tell when your brakes are wearing unevenly and can recommend if any specific parts need replacement. An auto repair shop can also spot more subtle problems like likes, rusty brake lines, and rusty rotors, bolts, and other parts of your brakes that could pose issues down the line. There’s a lot that goes into fixing your car, from high-tech computer diagnostics to powerful pneumatic lifts and more. The right shop is able to take full advantage of the tools of the trade to provide you with the quality repair you deserve. Your auto shop can get right down to the nuts and bolts to find the root of the problem, and fix it accordingly. Their investment into the best equipment the industry has to offer is all to provide you with better service. When it comes to your brakes, a little preventative maintenance can go a long way to keeping you safe and saving you money. One of the key things you mechanic can take care of for you is the upkeep of your brake calipers. Often, poor lubrication and excess dirt on your calipers can put a large amount of undue strain and stress on your brakes. A quality auto repair shop will quickly notice this and make sure your brake calipers are lubed up and properly cleaned. This can help to cut down on excessive wear and tear while making your brakes last longer and work better. Frequently, the problem might not be as bad as it sounds. With an auto technician you can trust, you can count on them to let you know when the job is as simple as resurfacing your rotors (if that’s an option) or just adding some new shoes or pads. It might be that your brakes aren’t the problem at all, and what you’re hearing is something else. Auto mechanics perform these repairs for a living and are trained to find out what the problem really is. You may think that you need to replace your calipers when that’s not the case at all. Your shop can find out exactly what’s wrong and treat your entire car, not just your brakes. Because this is their livelihood, your local auto shop is always going to welcome you with open arms. Whether you need walk-in service or would like to arrange an appointment, a quality auto repair shop will make the process a breeze. Wheeling Auto Center even provides an online scheduling tool to make your next brake replacement or repair appointment as easy as possible. Their expert techs will ensure that your vehicle remains in top condition, mile after mile, by performing key preventative maintenance and repair services on a regular schedule. Don’t wait when it comes to your brakes. Give the friendly pros at Wheeling Auto Center a call today!